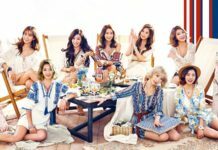 Are You Curious About SNSD Members’ Net Worth? For most of us, being a celebrity seems to be an honor. Not only are they popular, we recognize celebrities to be a group of well-off figures, who do not need to worry about the existence of money. The same principle is also applied to SNSD or Girls’ Generation, irrefutably the most famous K-pop girl group whose members are known not only for their career as singers, but also as the icons, models, and actresses glamorized by the public and their fan club, Sones. Working under the name of SNSD for more than 10 years, we understandably got curious about the net worth of each member. 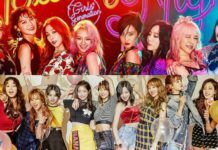 Thus, in this article, Channel-Korea will give you the information regarding the net worth of SNSD’s current members, namely Hyoyeon, Seohyun, Sooyoung, Sunny, Taeyeon, Tiffany, Yoona, and Yuri, as well as the former member Jessica Jung, which will be summed up in the final placement of SNSD’s wealthy ranking. So, stay tuned! The first SNSD member whose net worth we will investigate is Hyoyeon, the main dancer of the group. Back at the end of 2012, Hyoyeon was reported as having bought a new penthouse with an area of about 294 square meters in New Songdo City, Incheon, as she signed a contract with the ‘Prugio’ apartment complex for KRW 1.29 billion or $ 1.19 million. Apparently, the apartment complex houses other Korean celebrities, such as actors Jo In Sung and Ji Sang-ryul, solo singer Kim Jong-seo, the manager of SK Wyverns club Lee Man Soo, and baseball player Park Jae-hong. Hyoyeon’s penthouse has been revealed to be located on the 60th floor, which is considered one of the high levels of the building. In addition, New Songdo City was the most desired building at that time, as not only was it in close proximity to the hot areas of Seoul, such as Gangnam, Yeouido, and Ilsan, but it was also close to the Incheon International Airport which certainly must often be visited by people who have overseas schedules like Hyoyeon. Five years later, Hyoyeon revealed the inside of her penthouse on SBS’s It’s Okay to Go a Little Crazy which looks large and neat. Besides having a penthouse, Hyoyeon also owns three cars: a blue BMW Mini Cooper Countryman, white Audi A, and a white Range Rover. The second SNSD member whose net worth we will investigate is Jessica Jung, the lead vocalist and former member of the group. 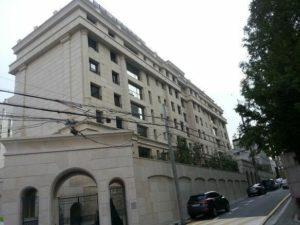 Back at the end of 2011, Jessica was reported to buy an auctioned house with an area of about 232 square meters located in Cheongdam-dong at Sangji Ritzville. Previously, the house’s price was listed as KRW 1.55 billion or $ 1.4 million, but after the liabilities relationship turned out to be complicated as the bidding had failed twice, and Jessica only had to pay for KRW 1,2 billion or $ 1.1 million to get the house. In addition, it was revealed that Jessica took out loansof KRW 102 million from Hana Bank, which she paid off fter two months and legally got ownership of the building in January 2012. 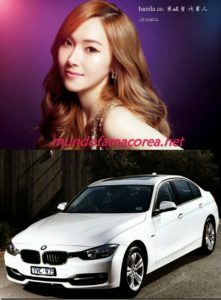 Besides having a house, Jessica also owns three cars: a white Range Rover Sports, HSE Dynamic, and a white BMW 320i which price is estimated to be $ 32.631,38. After her departure from SNSD, Jessica has launched her eyewear business ‘Blanc & Eclare’. Even when she was still a member of SNSD, she was expected to make the profit from the Seoul store of KRW 100 million or $ 10 million. Blanc & Eclare itself has 46 stores which are dispersed over several countries, such as China, Hong Kong, Taiwan, Macau, Thailand, and the United States. In 2016, Jessica Jung is listed at #6 on tvN’s The List 2016, a documentary show about the stars who have become young conglomerates. The third SNSD member whose net worth we will investigate is Seohyun, the lead vocalist and the youngest member of the group. Back in the October 2013, Seohyun was reported to have bought a villa or apartment with an area of 238 square meters located in Cheongdamdong, Gangnam at Cheongdam Daewoo Members County #5. 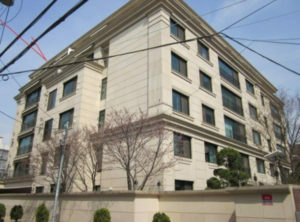 The building was purchased by Seohyun for KRW 1.29 billion or $ 1.2 million, and she took out loans from the Samsung Fire Insurance and paid all of them off in February 2013. 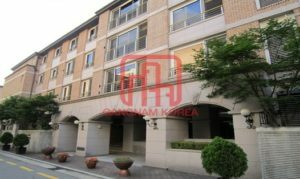 Moreover, The Cheongdam Daewoo Members County #5 is a four stories high and home to 19 apartments or villas, each with 4 bedrooms and 2 bathrooms. Besides having a house, Seohyun also owns two cars, namely the Audi A5 Cabriolet for KRW 84 million or $ 88.058,39 and the Kia K5 for KRW 29 million or $ 25.757.08. The fourth SNSD member whose net worth we will investigate is Sooyoung, the sub vocalist and one of the actresses in the group. It is not a secret that Sooyoung comes from a wealthy family, as in SNSD’s early show, she once showed her family’s large villa in Gwangju when the team paid it a visit to play around. On the other hand, at the beginning of 2014, Sooyoung was reported to buy a villa or apartment which is located in Nonhyeondong, Gangnam at Nonhyeon La Folium in December 2013. The building, which was previously priced at KRW 3.8 billion or $ 3.6 million, was purchased by Sooyoung for KRW 2.73 billion or $ 2.6 million. Moreover, the apartment was constructed by Samsung Heavy Industries and was previously ranked in the top 10 of the apartment houses’ price list and has a top security system and team with access control, the moving sensor, infrared sensor, and CCTV with 24/7 security team assistance, who can be contacted immediately whenever a problem occurs. 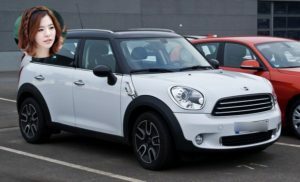 Besides having a house, Sooyoung also owns a car, namely the BMW Mini Cooper. 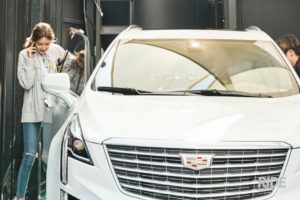 However, after becoming the brand ambassador for Cadillac, Sooyoung is seen to ride one of their vehicles, perhaps as another direct way to promote the brand. The fifth SNSD member whose net worth we will investigate is Sunny, the lead vocalist and the niece of SM Entertainment, Lee Soo Man. Along with Sooyoung, Sunny is known to come from a wealthy family. In November 2017, it was revealed through the broadcast of E Channel’s Life Exchange Reality that Sunny lives in a single apartment home which is located in Seongsudong, Seoul and near Seoul Forest and Han River. Approximately, Sunny buys the apartment for KRW 2.7 billion or $ 2.4 million. 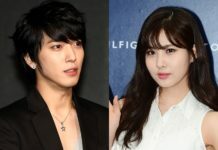 In addition, Sunny’s apartment is said to serve meals and provide valet parking, and laundry services. Besides having a house, Sunny also owns a car, namely a white Sedan. Which BTS Member Has A Girlfriend?